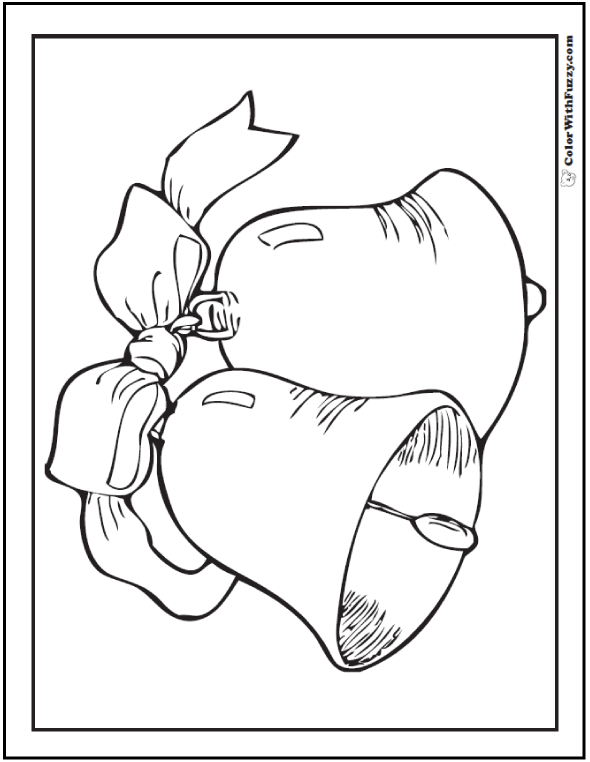 I love Christmas bell coloring pages. This is a simple image of two bells tied in a bow with a ribbon. It can be used for other seasons, too.